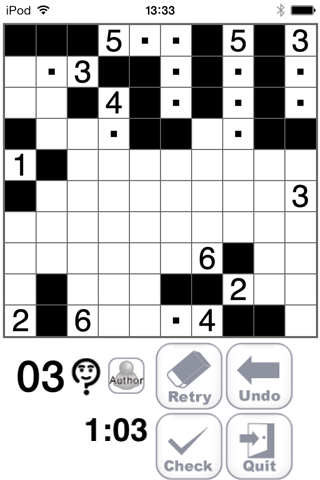 The Nurikabe Player is for doing puzzles. Tap on an empty cell to paint it black. Tap on a black cell and it becomes a "dot," to remind you not to paint the cell black. Tap on a "dot" and it disappears, leaving an empty cell. Use the "Reverse Handling" function with "two finger" taps: Put one finger where there are no buttons or icons on the screen and tap the cell you wish to change with another finger. Now a "dot" becomes a black cell, and with one more tap the cell becomes empty. 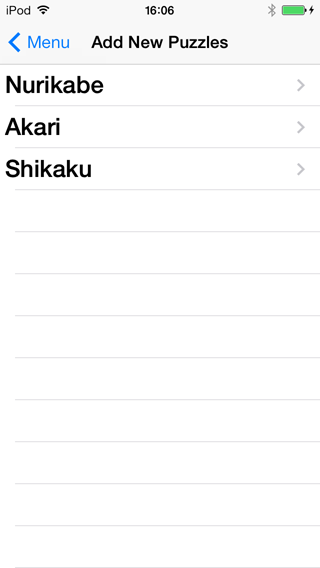 Disable the "Reverse Handling" function via the "Preferences" screen. Paint cells continuously by dragging. Click on a black cell and drag, and you can put "dots" continuously. Click on a "dot" and drag to delete black cells and "dots." Tap on a "dot/black cell" and drag to delete "dots" and "black cells." This is a list of the problem collections, each contains dozens of puzzles. 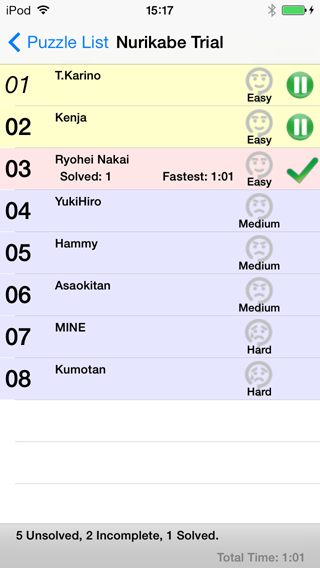 Tap on the each puzzle button on the bottom, to choose problem collection lists of the appropriate puzzle. 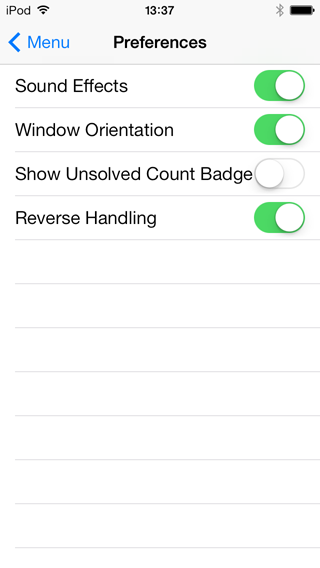 Tap on the "All" button to display all problem collection lists. 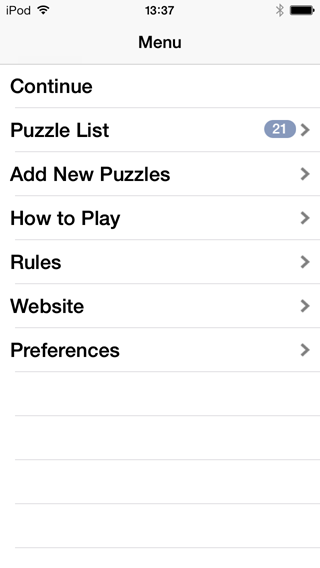 You can purchase and add more problem collections that contain dozens of puzzles at the App Store. 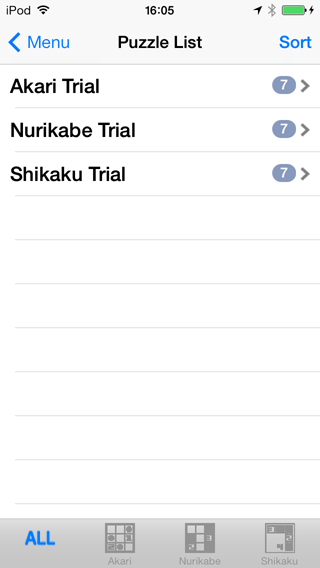 Here you can go to the other screens, problem list, add New Puzzle, tutorial, rules, and preferences. Here you turn the sound on or off, lock or unlock the orientation of the Nurikabe player, show or don't show the number of unsolved problems on icon, and enable or disable the "Reverse Handling" functions.